If you’re familiar with East London, you’re probably familiar with Old Spitalfields Market – but have you really been acquainted? after years of living East, I thought I properly had until I took an in-depth tour of the market to truly discover what makes Old Spitalfields Market such an iconic London shopping destination. Nestled between Liverpool Street station and Brick Lane, the historic market features a mix of internationally reconsided brands such as Chanel, Jigsaw, Bobbi Brown and Tiger, as well as a plethora of stalls offering handmade, antique and artsy goods. And for once the shopping is all done, Old Spitalfields Market offers a broad range of restaurants and bars to cater to all tastes, including Healthy, American, Seafood and Greek. 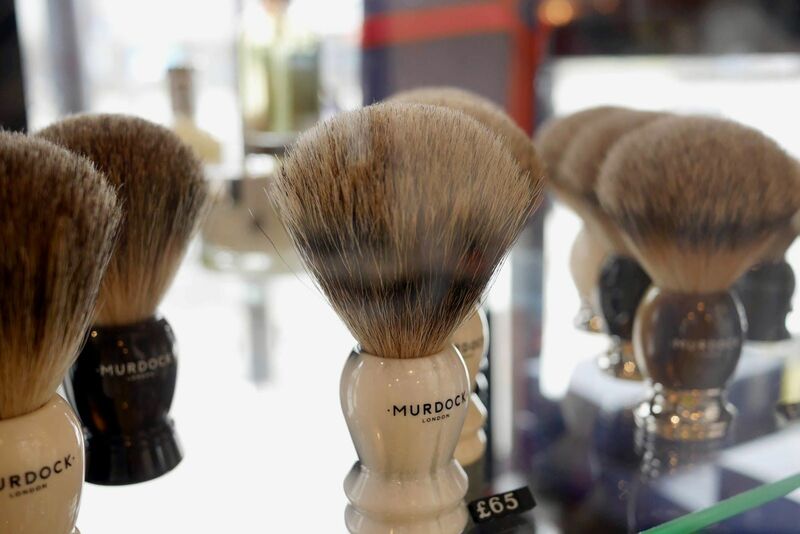 Murdock at Hackett London Spitalfields: The gentleman’s barbershop is fused with Hackett’s stylish surroundings to create the ultimate man hub, offering wet shaves, moustache and beard trims and haircuts. They are open on Sundays and close at 7pm on weekdays, so perfect for an after-work tidy up Book here. Rapha: The ultimate destination for the cycle and coffee enthusiasts! As well as the perfect flat white, Rapha produces premium cycle clothing and accessories, cleverly tailored from technical fabrics for style and comfort and ideal for cycling as well as the office. Check out their shirt range here, from £95. Additionally, Rapha has just introduced the ‘Rapha Clubhouse’ – housed within the basement vault of the Rapha store, the Rapha Vault allows customers to experience Rapha’s premium clothing as it is designed to be worn, recreating customer’s riding position on a static bicycle inside a climate-controlled chamber. Cheaney: The 19th-century bootmakers offer a free touch up and mirror polish to customers who purchase a pair of their handmade premium leather shoes, meaning the shoes will always look in tip-top condition and prolong the life of the shoes. Jigsaw Menswear: Yes, a store specifically for us guys, featuring handpicked items for the current Jigsaw menswear season. When you walk into the store you are greeted with a warm welcome by the friendly and knowledgeable staff, who are more than happy to discuss the current trends and select items so it feels like a more personal shopping experience. Blixen: Firstly, this place is an Instagram dream! marble interiors, palm trees and light fittings to lust after. But, beyond the Instagramable-interiors, Blixen offers an exciting menu offering European dishes from breakfast and brunch right through to dinner and late night cocktails. Stand out dishes include the Tuna Sub, Beef burger with onions, mushrooms, Belper Knolle & fries and Croque Madame. There’s still time to head to Old Spitalfields Market before Christmas and mulled wine a plenty on offer! what’s not to love?